The accordion does not belong to the category of instruments that are frequently encountered in jazz. There are two names in the current jazz around when we talk about this instrument; Richard Galliano and Luciano Biondini. 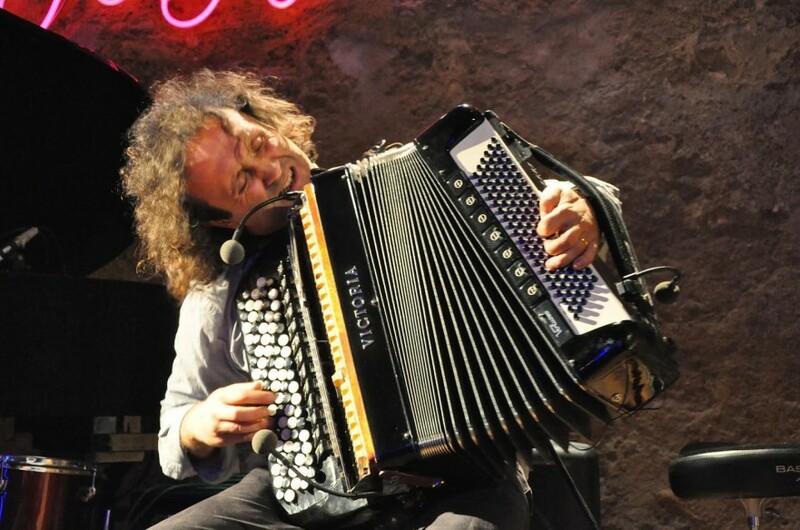 Biondini is one of the top accordion players on the scene.
. appreciate his independent artistry that is full of overwhelming drama and emotion without losing itself in technical superficiality. He grounds his love of jazz with references to the Italian music tradition. Luciano Biondini: international star of the firmament, with an individual technique that the whole world envies him. “Face to face” is a project where all his skill, artistry, stylistic maturity and composition is expressed at high power. “A top-class disc that shows all the Italian and Mediterranean features of the master and , at the same time, puts the listener in front of a masterpiece of fine chisel. A lyricism that gets straight to the heart. The art of jazz improvisation reach the highest levels. The secular popular Italian tradition is condensed in this ensemble. Original compositions interspersed with a tribute to the Italian tradition”.